From Denmark arrives power metal band Seven Thorns. Whom I suspect also love the likes of Symphony X, since their sound incorporates lots of the same neo-classical / progmetal trademarks. And having Tue Madsen produce your album, sure helps to get a bombastic sound, with still all necessary details in the right place. Yes, it is clear that Seven Thorns mean business. So it is rather a good thing they remembered to include lots of flashy solos as well as choruses that easily stick in your brain. Center stage is the playing of Gabriel Tuxen (guitars) and Asger Nielsen (keys). Keeping all together are Mads Molbaek (bass) and Lars Borup (drums). With singer Björn Asking they also have someone in their ranks that is able to project a wide palette of styles in his singing. But none of the musicians is a slouch, they all perform top notch and pull off some amazing musicianship. While thankfully infusing lots of melody too. Nice addition is a female singer in Beneath A Crescent Moon. It is safe to say that the 9 tracks on offer will please fans of bands like Symphony X, Adagio, as well as Helloween or Stratovarius. All this does not mean they offer something that has never been done before. But they are really good at what they do and pour tons of energy in their performance and songs. If you dig the bands mentioned, you can buy this on sight. Not sure there are many bands consisting of Russian musicians and a Spanish singer, but this is one. And to me Diego Teksuo seems a find too, as I quite like his voice and melodies. And he needs to be, because he is accompanied by a band that likes to throw a mix of progressive metal, power metal and sometimes even some extreme vocals at him. To me the result is an album that is mature and professional and can compete easily with anything within the genre that is more known in our western world. All 11 songs clock around 4 minutes so come across as focused and energetic. Considering they are varied too, there is never a dull moment. And despite the sometimes frantic passages, all songs have memorable melodies than makes them easy to listen to. To such extent that even the harsh vocals do not bother me. The band is very tight, with Anton Emelyanov’s guitar providing tasty licks and solos over the foundation laid down by Misha Gigava (bass) and Sergey Krasnozhen (drums). There are also some additional keyboards and guest vocals, to add extra dimensions to the arrangements. A very pleasant surprise, all songs are good and some are excellent, with my personal favourites being Sleepwalker, Dancing Spirits and Get Over Crisis. Ever since finding out that The Radio Sun‘s Steve Janevski is also part of this band, I wanted to check them out. This is Black Majesty’s most recent release and it has turned out to be a completely different animal when compared to Steve’s other band. Which is in itself a compliment to the man’s talent. 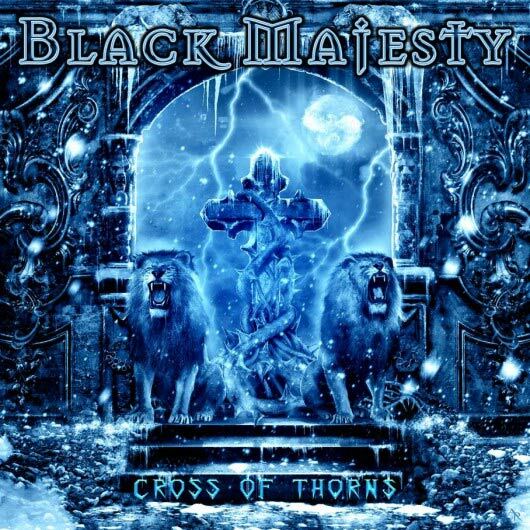 Black Majesty are more of a power metal outfit. So if you are familiar with that, that means galloping drums, often with double kick, double leads and guitars with more beef than your average pig. Singer John Cavaliere has a fairly light voice, but does the typical high pitched vibrato with ease. So it was a surprise when he sang part of the Out In The Fields cover (Gary Moore) in a much lower register. Quite good actually. Both the singing as the arrangement of this classic. As a whole this is a tight group and the album gets better with every play. With the style come the genre trademarks, but sometimes the band take a turn left or right and that makes for more diversity, which is a good thing in my book. All in all enough reason for me to delve more into their back catalogue, so power metal fans will enjoy this without doubt. Anyone remember Sister Mary from Queensryche´s Operation Mindcrime opus? Well if you like the singing of the woman in question, miss Pamela Moore, you have a perfect reason to check out this album. Should you need another one: Ralf Scheepers is on board for 2 tracks as well, including the beautiful duet Feel Alive. And the international aspect of this release does not stop there. From Sweden to Italy, from Germany to the USA, nothing was stopping Zane Petersen (drums) to create his vision. Kudos for that! Firmly rooted in 80’s and 90’s metal and hard rock, we are treated with 9 songs and 2 interludes that get better with every spin. Heavy where it can or needs to be, and soft and breakable when the song asks for it. The melodies are not all instant, but over time it gets more and more easy to identify with this album. A little short maybe with about 41 minutes, so keep the repeat button comfortably nearby. Alas I could not find a band website, so better check with the label. 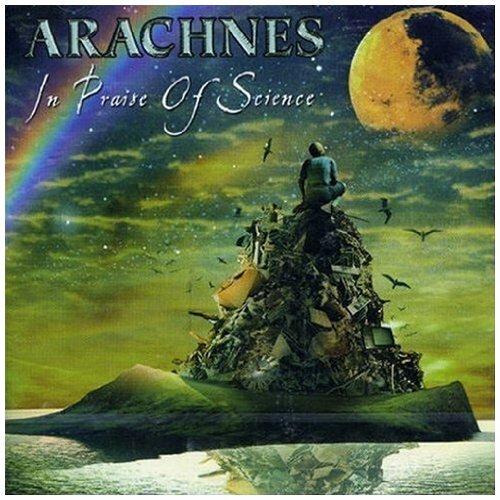 A band that deserves more attention in my humble opinion is the Italian outfit Arachnes. Core of the band are (brothers?) Franco Caruso on guitars and backing vocals, and Enzo Caruso on lead vocals and keyboards. On this disk they are accompanied by Gabriele Baroni on bass and backings and Stefano Caironi on drums. All musicians are accomplished players and for a quartet they are able to make a lot of noise. 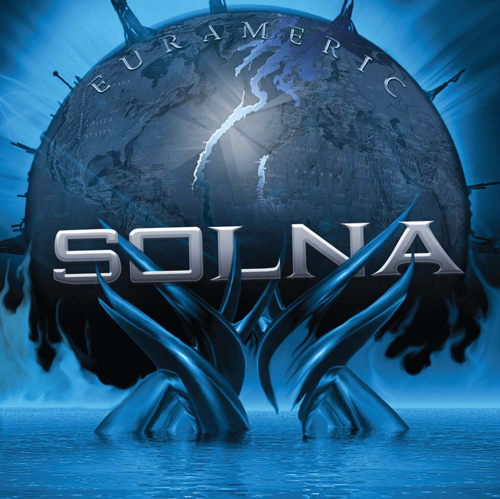 Their style is a combination of power and progressive metal. So sometimes the double bass is a bit much, but the way they combine more vintage sounds like Hammond and Piano with the traditional metal sound is quite fun to these ears. 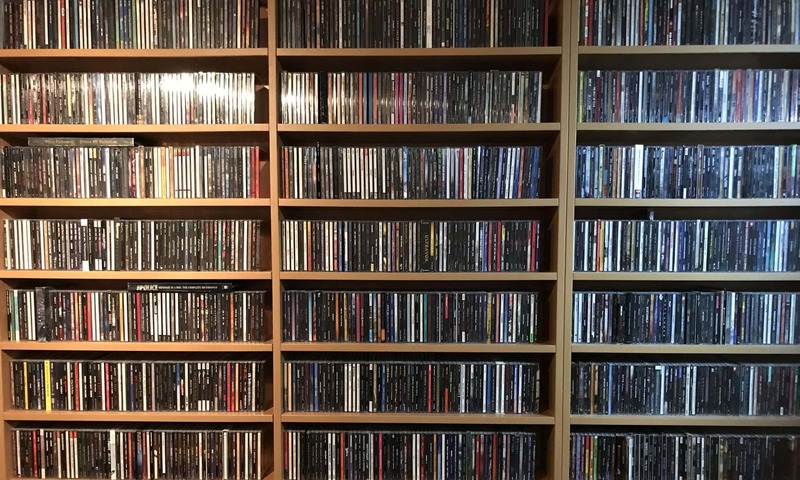 Though I own a couple of their albums, I am not sure how extensive their back catalogue is, or even if they still exist. The voice of Enzo, or Vincent, needs some time getting used to. I especially like him singing the more subtle stuff. More heavy parts have a vibrato and high pitch I can understand people find harder to get into. Still like it though, and quite some backing vocals present as well. As I said at the start, I feel this bands deserves more attention, as I hardly ever read about them. So that is a good enough reason to pay attention to this quality band. CD´s are still pretty easy to find, and perhaps on sale, so pick one up when you get the chance. Wow, the people at Ulterium Records have a nose for finding top quality bands! And then together deliver an album on which all the details are perfect. So far, their releases sound and look great! 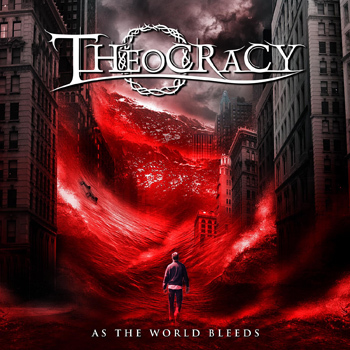 So this time I am having a ball listening to the new Theocracy album As The World Bleeds. To my knowledge their second one. 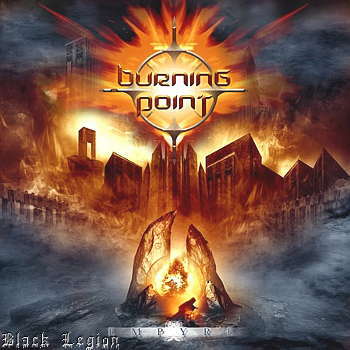 The music is a kind of power metal mixed with progressive elements. So we get the galloping drums and happy sing a long choruses with catchy melodies, but also lots of guitar shredding, instrumental interludes that reveal a lot of technical prowess and all wrapped in songs that make a lasting impact. I am always glad when musicians know it is all about the song and less about the muscle. From opening track I Am (an 11 minute epic) to shorter tracks like The Master Storyteller, Hide In The Fairytale or Light Of The World, to longer tracks like The Gift Of Music or the title track, this band delivers. A very pleasant listen recommended to anyone into the genres mentioned. And it is because of those progressive elements the album stays fresh, even after repeated play. Wonderful, I have to dig up their first one as well! 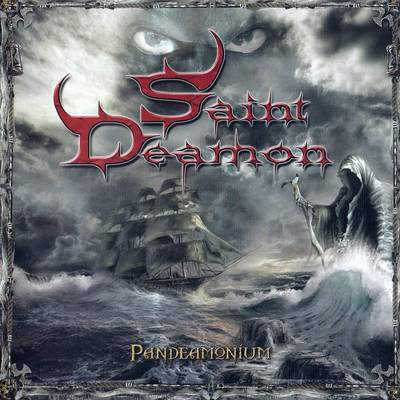 A new name on the block (at least in 2009 they were, in the meantime they have released a second album I believe), Saint Deamon prove with ease to be a force to reckon with. Because despite the short songs and album length (10 songs together clocking in under 40 minutes) the band come across as focussed. Whether it´s performing, writing, sound, look, melodies or what ever, it is obvious the guys know what they want. So I can keep this short, a welcome addition to any metal collection. 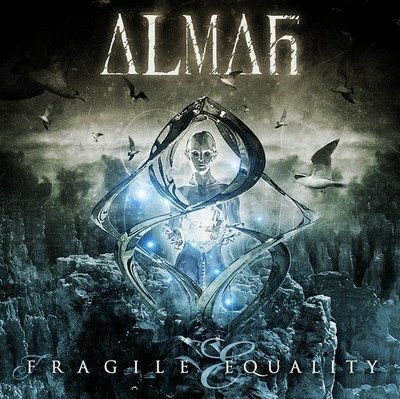 With 2 members from Angra on board (singer Edu Falaschi and bass player Felipe Andreoli) it is not very strange that Almah sound a little like that ‘ big brother’ . It also makes it unclear why both bands co-exist. Probably mainly for the core to be able to release more of their own material. With a move like that the question of course is, do we need this band? Well, need is a strong word, but there is no denying that this is a quality band. All important style figures are present (that is up tempo songs, galloping drums, flashy guitar solo´s, big sing along choruses, orchestral keyboards, etc.) But if the songs don´t hit the mark, style won´t save them from mediocrity. And in an already over flooded market it is hard to distinguish yourself from all that is available. From that point of view Almah will not add. But fair is fair, this is by no means a bad record. It sounds as good as it looks and the team who put it all together can pride themselves with that achievement. Maybe not essential, but still worthwhile. And a song like All I Am will please even the most spoiled listener. Personal play tips: Birds Of Prey, All I Am, You´ll Understand.